Bird Streets shows John Brodeur's growth into an introspective songwriter, while Jason Falkner's production takes his long-established bedroom pop sound into a more fully-realized, radio-ready sound. Power pop is an often underappreciated genre despite its having generated some of rock and roll's best-loved or best-selling songs. The Knack's "My Sharona", Cheap Trick's "Surrender", the Romantics' "What I Like About You", the Cars' "Just What I Needed", or the Raspberries' "Go All the Way" are part of the American cultural lexicon while acts like Big Star, the Shoes, 20/20, and the dBs are spoken of in legendary terms. The genre remains vibrant with hundreds of regionally popular bands active across the U.S., but few acts ever cross over to broader success. John Brodeur is a New York bedroom-pop savant whose debut Tiger Pop arrived in 2000 evoking comparisons to XTC. Nearly a decade passed before the lo-fi Get Through appeared in 2009, followed in 2013 by Little Hopes, his most sonically developed collection of songs. That is, until now with Bird Streets, his collaboration with Jason Falkner, an alumnus of Jellyfish and the Three O'Clock, two beloved power pop bands, produces the album and provides chiming guitar support for a collection of songs that cover all of the necessary power pop bases. 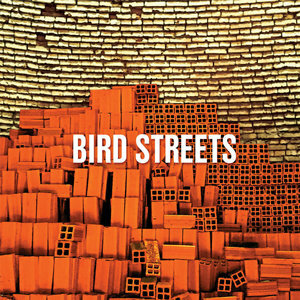 Bird Streets opens with the R.E.M.-like flourish of "Carry On", a song of rushing headlong into an adventurous future, direction be damned: "I'm in a crashing car, I'm turning over / Straight on into the beautiful unknown." "Betting on the Sun" follows, opening with one of the cleverest lyrics in recent memory: "I remember when we were tighter than Steely Dan / But now the fix is in, and you're breaking up with your friends." The song's bright chorus nonetheless affirms the genre's familiar trope of masking the darkness, "Your betting on the sun to bail you out, / But darkness falls on everyone's daydream", a mood echoed in the mournful "Spaceship". That song, a deep, lyrical reflection on alcohol dependence, is an album highlight. Describing himself as "a spaceship out of control" then "a comet shooting through time / No way of stopping until life had passed me by," Brodeur embodies the displacement of the addiction and its perpetuation within the performer's lifestyle as he looks out on yet another late-night crowd "wasted before the music even starts." Where its chorus of "we've got a long way to go" points to self-awareness that can initiate successful life adjustments, Brodeur's "Same Dream" returns to the topic but bemoans its subject's inability, or unwillingness, to change. Another enduring power pop trope is love gone wrong, and Brodeur demonstrates his ample abilities to capture this requisite component. "You're no cure, you're just another pill" he sings in "Heal", an intimate evocation of a toxic relationship fueled by mutual self-abuse. "Thanks for Calling", meanwhile, presents a vindictive ex with Brodeur's number on speed dial: "So the next time you hook up with an old friend... keep me in the dark." And "Stop to Breathe" confronts a pattern of bad relationship choices that, one suspects, will continue despite knowing better. Bird Streets shows Brodeur's growth into an introspective songwriter, while Falkner's production takes his long-established bedroom pop sound into a more fully-realized, radio-ready sound. It's a rock-solid power pop gem.